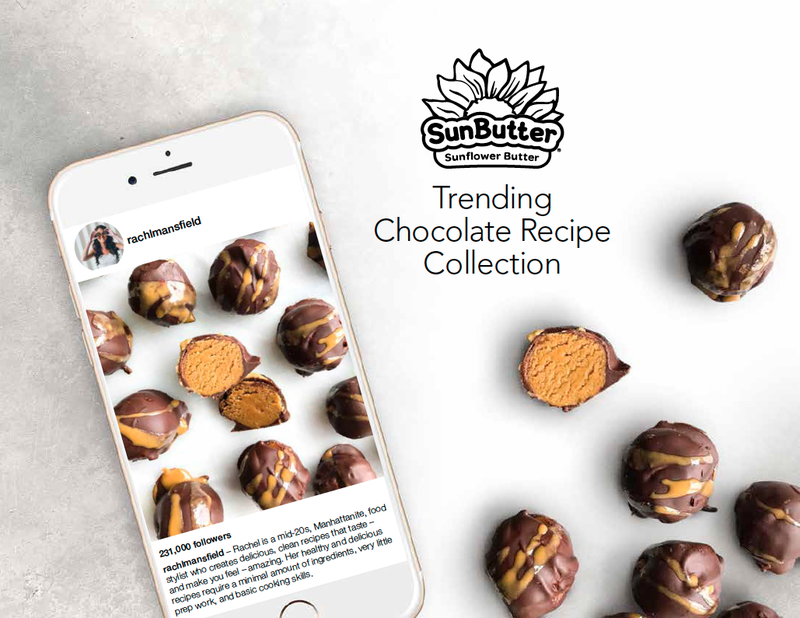 Click below to download your FREE SunButter Trending Chocolate Recipe Collection! The collection features 18 decadent, chocolate recipes from SunButter partners. Most recipes are peanut and tree-nut free, and some recipes are free from all of the top 8 food allergens. The Kindle edition of the book is available on Amazon.com for under $1. All proceeds from the sale of the book will benefit Food Equality Initiative (FEI). FEI provides hunger relief for people with food allergies and celiac disease. This recipe collection features recipes from these amazing SunButter partners: @allergy_awesomeness, @allergylicious, @amandafitlife, @bubbyandbean, @eblfoodallergies, @elavegan, @emilieeats, @fitandwellmedgal, @keeleymcguireblog, @lilsipper, @mamacado, @rachaelsgoodeats, @rachlmansfield, @sarahsdolcevita, @thefirstmess, and @twist_of_lemons. 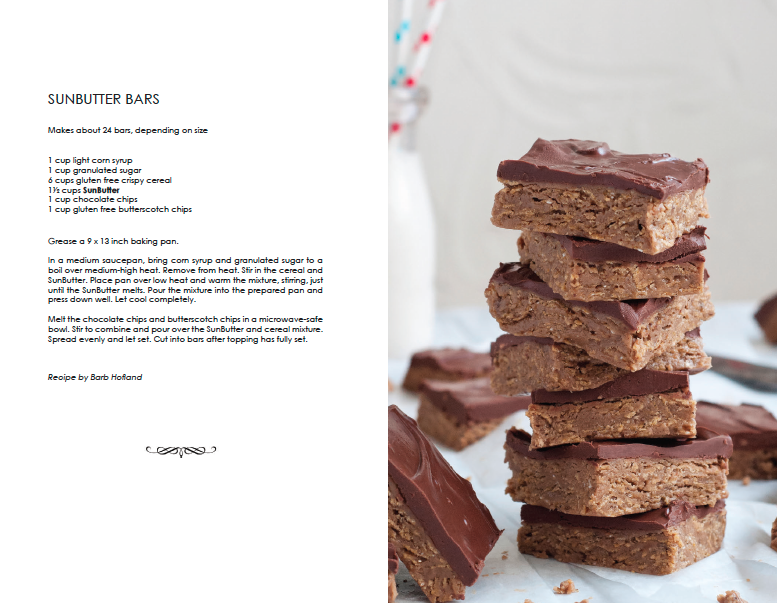 Click link to download your FREE Gluten Free Cookbook Featuring SunButter! Presented by Simply Gluten Free Magazine, this cookbook features 12 gluten-free, peanut free recipes including Chocolate SunButter Cream Pie, SunButter And Banana Pancakes, SunButter Chocolate Fudge, and Indonesian Pork Tenderloin. Presented by Simply Gluten Free Magazine, this cookbook features 12 gluten-free, peanut free recipes including No Bake SunButter S’mores, Five Minute Creamy Thai Soup, Spicy Cauliflower Salad, and SunButter & Jelly Ice Cream Sandwiches. 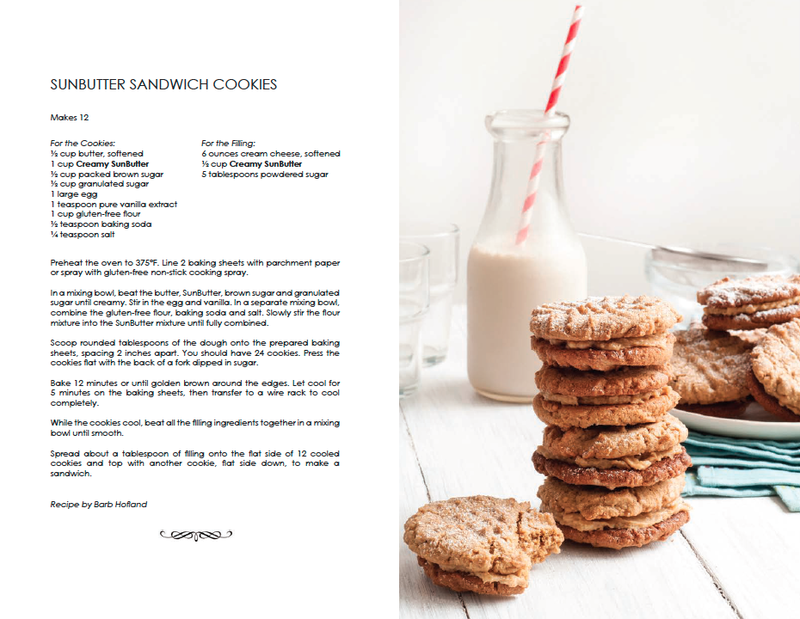 SunButter offers a Foodservice Recipe Book for School Cafeteria or Foodservice Departments.